Over the last one and half decades, we have witnessed wide spread antiretroviral therapy (ART) use in HIV care and treatment. 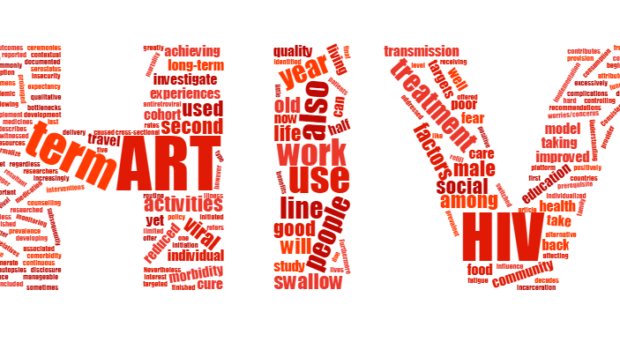 ART use has greatly reduced morbidity and mortality among people living with HIV, and subsequently improved life expectancy and quality of life. ART use also reduces the HIV transmission risk through the resultant HIV viral suppression. However, to achieve these individual and community ART benefits, good adherence, defined as ‘following the recommendations made by the treatment provider on timing, dosage and frequency of medication taking’, is a prerequisite. While individual and contextual factors affecting adherence in the short and medium terms are well researched and documented, there have been mixed reports on the factors associated with adherence to long-term ART use. Consistent adherence, regardless of duration of ART, is increasingly becoming important as countries implement the ‘Test and Treat’ policy and work towards the 90-90-90 targets by 2020. The final 90 in the 90-90-90 targets refers to achieving HIV viral suppression in 90% of all HIV positive individuals initiated on ART. A group of Ugandan researchers has been engaged in ART provision to over 2000 people since 2004. In 2013, over half of these individuals on ART were enrolled into a cohort to study the complications of long-term ART in Uganda (CoLTART). This cohort has provided a platform to investigate: pre-ART initiation patients’ worries/concerns, bottlenecks to linkage to HIV care cascade, HIV treatment outcomes, causes of death through use of verbal autopsies, and prevalence of comorbidity of HIV and NCDs among people living with HIV. Our article published in AIDS Research and Therapy, describes a qualitative cross-sectional study we conducted to investigate how the factors and experiences of thirty individuals on ART for five years or more, with poor viral suppression, could explain their non-adherence to long term ART use. We found that the most prevalent causes of poor ART adherence were: travel for work or social activities like funerals, marriage ceremonies and caring for the sick family members/ relatives. ‘They [health workers] no longer offer health education now. They think we are well versed yet we need to be reminded most of the time’ – 54 year old male on first line ART. ‘At times, we travel to faraway places for work and drugs get finished yet coming back is hard. This also contributes to my non-adherence’ – 44 year old male on second line ART. Furthermore long term ART non-adherence was attributed to stigma and fear of HIV serostatus disclosure coupled with, receiving little or no continuous ART adherence education. Alcohol consumption and use of alternative ‘HIV cure’ medicines also caused long term ART non-adherence. Other less commonly reported causes of long term ART non-adherence included: treatment fatigue, experiences or fear of ART side effects, belief that God or ART can cure HIV, food insecurity and incarceration. ‘I used to swallow in the beginning but when I became stronger, I stopped to swallow as I used to’ – 42 year male on second line ART. ‘I used to take alcohol excessively and sometimes I did not only forget to take food but also ARVs. When I came back for drug refill, they switched to the type I am taking now. I had failed to swallow them’ – 37 year old female on second line ART. The ART non-adherence due to work and or social activities is a major concern, because as people on ART normalize, they resume work and social activities. Nevertheless, all the above identified causes of long term ART non-adherence can be addressed through mainly individualized ART delivery and monitoring model, however, the limited resources hinder the development, adoption and implementation of such a model. Understanding the causes of non-adherence among individuals on long term ART will positively influence how routine ART adherence counselling is offered and also generate more interest in developing targeted adherence interventions. By achieving good adherence to long term ART, individuals will enjoy improved survival, reduced morbidity with prolonged symptom free lives, better quality of life on simpler and cheaper ART regimens, thus making HIV a manageable chronic illness. At the community level, good ART adherence will reduce HIV transmission rates and further help in controlling the HIV epidemic. Dominic Bukenya is a social scientist based at a rural south western Uganda field station for the Medical Research Council /Uganda Virus Research Institute and London School of Hygiene and Tropical Medicine Uganda Research Unit. Over the last decade, Dominic has been involved in and leading designing and implementation of epidemiological and behavioural research projects. He has also been involved and leading on data management and analysis, resulting peer reviewed journal articles and conference papers for national and international dissemination. Dr. Mayanja Billy Nsubuga is an Epidemiologist and a Senior Scientist at the MRC/UVRI and LSHTM Uganda Research Unit. For over two decades, Dr. Mayanja has worked as a Research Medical Officer and Project Leader on several epidemiological studies including the Complications of Long-Term Antiretroviral Therapy (CoLTART) study. His roles included provision of participants’ medical care including antiretroviral therapy, designing and implementation of several clinical / epidemiological studies. On several research studies, he has participated in data analysis and manuscript write up for publication in peer reviewed journals and presentation at national and international scientific conferences and meetings.